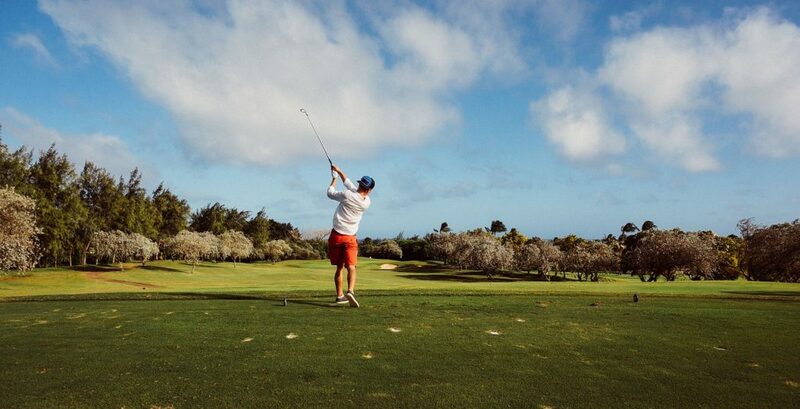 Golf does not have to be a stuffy and boring sport. You can bring in a splash of style and color. Just like everything else in life, the game had to evolve to keep up with the times. Nowadays, even young and middle classed people are playing golf. They want to make golf more interesting and bring their own style with it. But, you also do not want to be too distracting on the golf course for the whole game. When you walk out on the green, you will turn heads with these five fashion tips. When someone says golf, everyone automatically thinks stiff, all-white attire, shorts, visor, cheesy wool hat, and sunglasses. It does not have to be like that. Golf, just let most sports, is not a time to dress up in your Sunday best. You can wear those jean shorts and your favorite colored t-shirt to the golf course. Nobody will judge you. The last thing you want is to add onto the stereotype of golf with that stiff, stuck-up, and boring image of rich people on the golf course during the weekend. Most people are not fans of loud colors in general. Nobody wants to end up in a traffic accident because you walked out of the house with a shirt so bright that it blinded any drivers passing by. However, there is a way to tame loud colors. Put them with a neutral base of your outfit. Golf player Rickie Fowler was able to pull it off with his orange pants and matching hat because he wore a white shirt and matching shoes with the outfit. If pulled off just right, a white shirt can go with just about anything. Do not be afraid to step onto the golf course with brightly colored pants just as long as you are wearing a something like a white shirt to help subdue the color. The whole fashion is to show off your unique style. The world would be boring if everyone dressed the same. The golf course is no different. It’s okay to show up in a shirt that makes people turn around for a second look. However, people do tend to go overboard with their style. The last thing that is needed during a golf game is for the score keeper and everyone else to lose track of how many points they earned because they were too busy staring at what you were wearing that day. Maybe, it is not a good idea to go play golf in bright blue cloud pajamas. Before you walk out of the house, be sure to find a happy balance between standing out and not looking like you escape from a mental institution. Golf is mostly played outside during the spring and summer. You are likely to get hot and sweaty from playing on the whole course. It is not a smart idea to wear tight, dark clothes for this sport. This is why most players wear t-shirts and shorts with comfortable golf shoes. You can do the same thing too. It is okay to wear loose-fitting clothes if you believe that it will help air circulate and keep you cool while you play. Also, darker colors attract more heat than lighter colors do. Do not wear anything heavy and black to play golf. Unless you want to risk ruining your dark clothes in the wash, it will be a good idea to leave your favorite black clothing at home. This tip will help with your style and health. Golfer Rickie Fowler used to have what is known as a “dad bod”. Critics and fans called him out for it and he did something about it. He watched his diet and worked out. Positive body image is really important in this day and age. You do not have to be muscled and super skinny to look good. But at the very least, try to get your weight down to a healthy number as your doctor recommends. Your health and favorite clothes will thank you for it later.